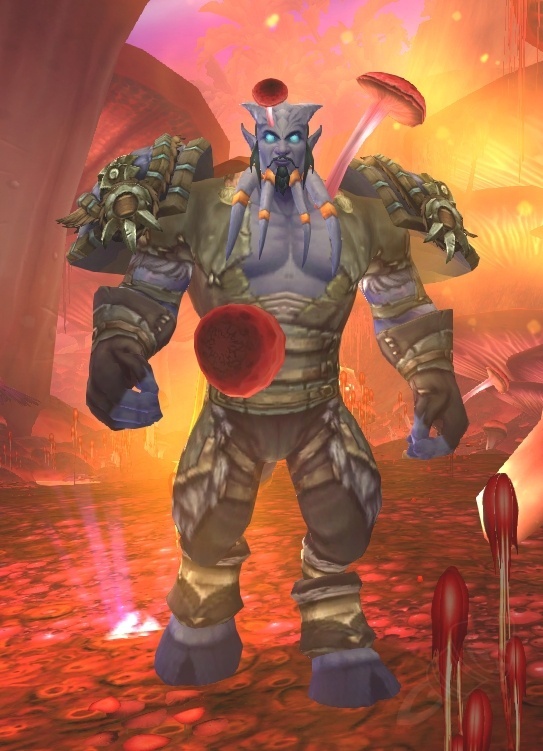 I will be the first to admit; I was not super excited about anything in particular in WoD. I was looking forward to getting out of SoO more than getting into any new content that was coming. Honestly, I thought WoD would be boring both story and content-wise. I will also be the first to admit I was completely and utterly wrong. WoD has completely blown me away. It’s probably the best WoW expansion I’ve ever experienced. And I believe this is due to three aspects that hit the nail on the head. The first aspect that nailed it is questing. Never before has the questing be as immersive as it is now. The cutscenes combined with some fantastic writing has made questing the star of the show. I stayed in zones long after I had outleveled them, just to experience the story. My favorite zone so far has been Shadowmoon Valley. The overall story built up very well, and the final cutscenes and the attack on Karabor were very impressive. Yrel is now my favorite character of all times. But the thing that really made the zone for me were all the side quests. The one with the podlings was both horrifying and enthralling; it was like watching a car crash. The botani area was really pretty… until I found the pile of dead bodies in the middle of their sparkly pool. That was properly chilling, and the area felt much more constricted and closed off (very effective storytelling!). I know I made fun of Blizzard for overusing this word, but Draenor really is savage. I was afraid to let any NPCs out of my sight, lest they get killed from some dangerous enemy. Whenever I had to go find an NPC, I always assumed they would be dead or injured. All the zones felt dangerous- not game-playwise, but lorewise. Like if I weren’t an adventurer, I would be dead by now. I think the best (and by best, I mean most horrifying and stomach churning) quest chain was in Gorgrond. You are sent to the Crimson Fen to check on one of the Rangari groups who hasn’t checked back in a while. Upon arriving, you find that all but the leader are dead or missing. What follows is the most awful but fascinating quest line I’ve ever done. Basically, you watch as the Rangari captain slowly gets infested and taken over by the fungus of the Crimson Fen. And the worst part is, you are actually helping him get infested by following his orders. The atmosphere of the area (a dim but foggy orange underneath huge mushrooms) and the quest text made all the difference. When I finished that chain, I actually had to take a break from the game for half an hour. It was just so CREEPY! Gave me the chills! Very, very well done! 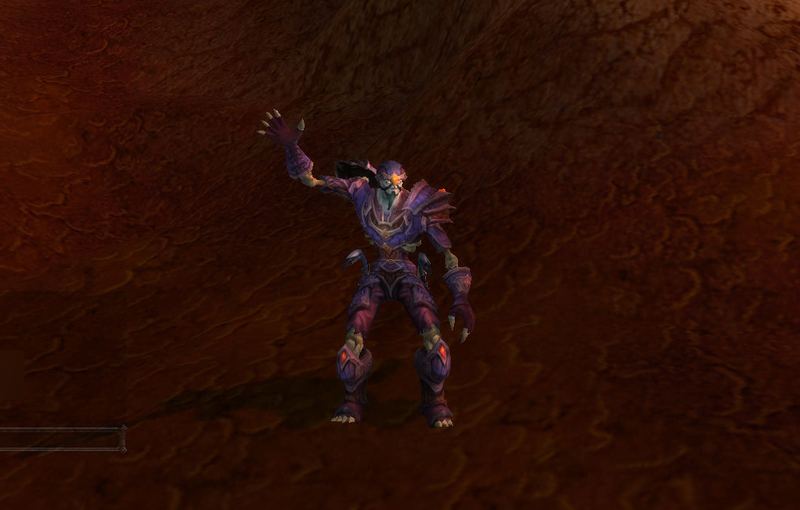 The second aspect that is making WoD such a great experience is, surprisingly enough, garrisons! I know when this was first announced I had no interest in them whatsoever, but I’ve really come to love them. The amount of customization as well as all the little details (Ray D. Tears and Pepe comes to mind) make it really feel like my own thing. Plus, everyone calling me Commander certainly helps! My only grip is that I have all these level 100 follower missions, and only two level 100 followers. This means that I have a lot of missions sitting in my backlog. I’m hoping they do not get deleted, because I really want to send people out on them! The last aspect that I love about WoD are all the treasures and details in the world. Finding purple items or downing rares is a very satisfying experience. Also, it really gives a player the incentive to go out and actually look at the world. Go to the end of that cave instead of looping around the front. Go inside and look at those orcish huts, there could be treasure. Basically, this expansion has been the perfect melding of lore, exploration, and solo content. Everything I loved about MoP has been increased by a thousand! I can’t wait to finish all the quests, and run it again on horde side! 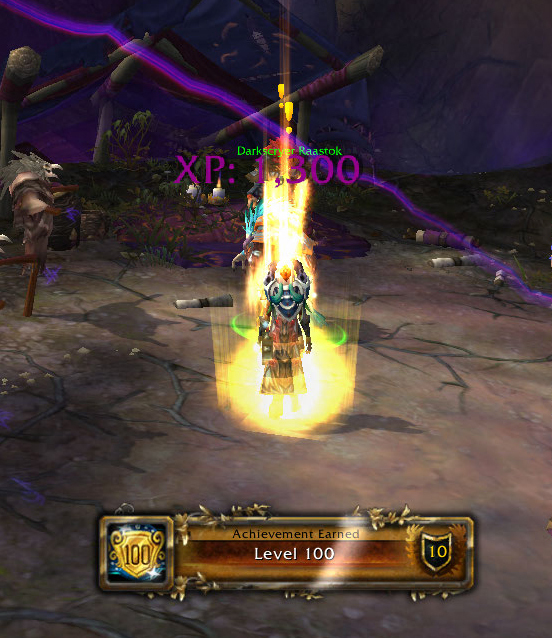 Addendum: Yup, I leveled up entirely as a shockadin (as per the vote) and I found could do acceptable damage to mobs. I’ve also done a bit of healing in dungeons, but nothing above normal levels. What I’ve done so far has been pretty hard but I know my gear isn’t great, so it’s too early to make any judgements. And nope, haven’t stepped into the new Molten Core or the new battleground yet! Also broke my finger, which is going to make this a much longer process…. No more ‘W’ key! Mists of Pandaria is finally coming to a close. Come Thursday, we will rush from her mist-shrouded shores to the savage new lands of Draenor. But what legacy will Pandaria leave behind? What went well, what missed the mark, what will be remembered forever? Fussypants: Mists has been my favorite expansion thus far. In this expansion, I discovered raiding, really got to know the awesome people in my guild, started a blog and met all you amazing folks, and really experienced everything in the expansion for the first time. This was the first expansion where WoW became a social game for me, and now that’s one of the biggest reasons for me to log in. I also absolutely loved the stories and the feels of the zones, and the music and aesthetic. I will definitely be remembering this expansion for yeas to come. For me, the most successful elements of this expansion were flex raiding (and its’ increased access), the lore, and the state of healing. This was my first expansion raiding and healing and I have to say, I couldn’t have asked for a better one to start in. I feel I have a pretty good grasp on how to raid, how to heal, and how to heal raids. And with the increased accessibility, I got the experience I needed to call myself a raider. While some people weren’t so keen on the lore, I absolutely loved the story. It was light and happy at times, and appropriately dark at others. Jade Forest is one of my favorite zones in the game, all due to it’s beauty and fantastic storytelling. The sha was very well done and the faction war was believable and intense. The least successful elements of this expansion were PvP and professions. PvP was entirely too gear and CC based, so unless you started at the beginning of the expansion, you had little chance. I leveled a character for the strict purpose of trying PvP for the first time, but it was so intimidating and difficult that I quickly stopped participating. PvP was pretty much stunstunstunstunstunstunyoudied. Not my definition of fun. And professions, they were just boring. You got it to 600, and then made one daily cooldown and that was pretty much it. Or, you could grind out rep for forever and get more recipes, many of which required more daily cooldowns. I was thoroughly unimpressed. Professions should be a fun mini game into themselves, not a boring grindfest. All in all, taking the good with the bad, I absolutely loved MoP. I will even go as far as to say that it was my favorite expansion to date. All the same, bring on WoD! 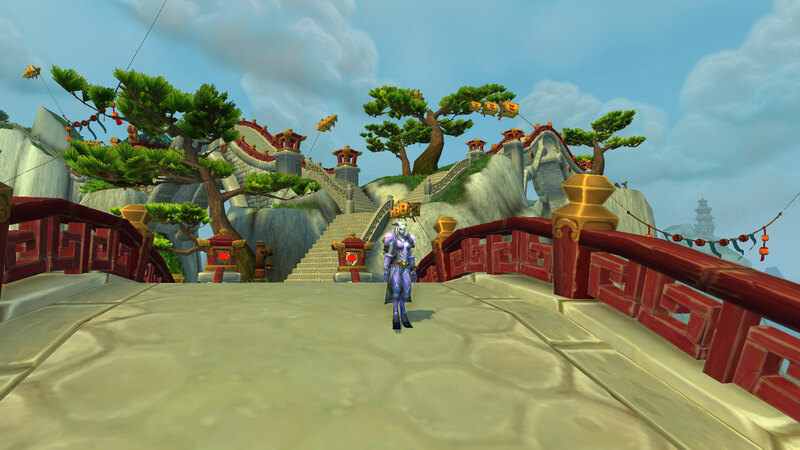 Yotaan: What would the legacy of Pandaria be? In my opinion, it will be the sights and sounds. The visuals were amazing and beautiful. Many times I would pause and just look around. My favorites were the bridges, particularly in the Jade Forest. The music was great and always set the mood. I always have the challenge of setting the music sliders, I tend to make them too loud and I miss the other sounds! The less positive legacy will be the daily quests. They did put me off. 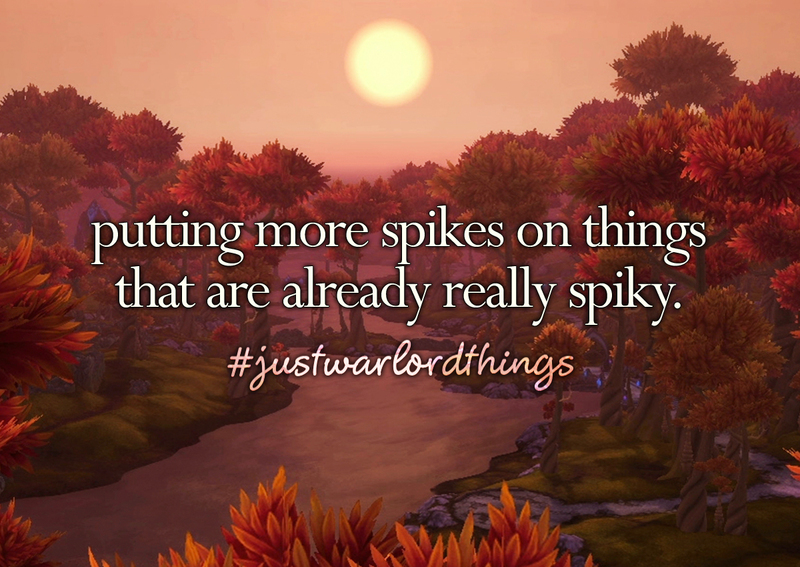 Blizzard started with way too many and then overcompensated and removed all of them by the time the Timeless Isle appeared. I have to say, though, the patch in which we were in the Barrens was very good, and I think they should expand upon that notion. Overall, Mists was a very good expansion. Of course, the best part was playing with my daughter. But enough reminiscing on the past! What are you looking forward to in WoD? Fussypants: HOLD UP! Before I start to get all excited about WoD, I need to decide my main. Yup, one day out and I still don’t know who I’m going to play!! I’m totally split on this too! Just to recap, I have a gnome frost mage, a draenei holy paladin, a night elf resto druid, a blood elf disc/shadow priest, and an undead fury/prot warrior. This is the order I’ve gotten thus far for leveling. It’s between my draenei paladin (Fussypants) and my gnome mage (my ‘main’). Here’s my conundrum. I want to level Fussypants because she’s a draenei and this is the draenei expansion. On the other hand she is holy, so leveling will be a long and at times painful process. I would have to change her to ret, and I’m not sure I’d want to do that. However, my mage is already a dps class, which makes leveling easier. But, she’s not a draenei, and I would be missing that unique experience first time round. So should I level my mage or my pally? Help! As for what I look forward in WoD, leveling? Raiding? Pretty much just new content. I’m not super interested in garrisons right now, but I’m sure I’ll find something I love. I honestly just want the expansion to drop. 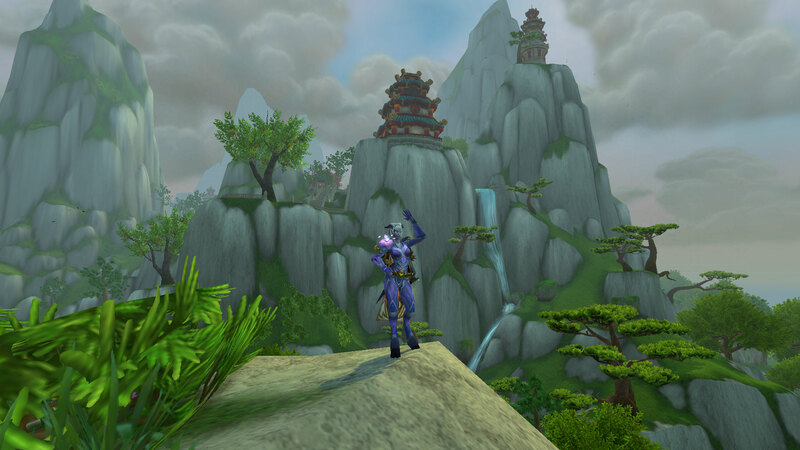 Oh, and I’m also going to log out all my characters at my five favorite spots in Pandaria. It seems like an appropriate good bye to the continent! 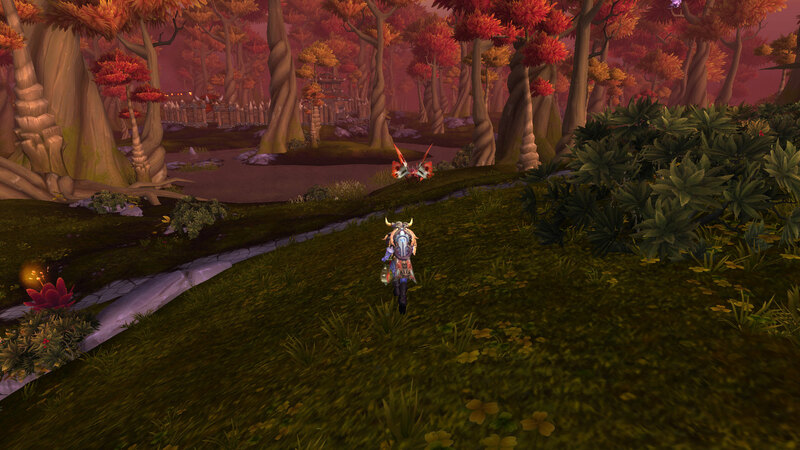 I miss PvP, so Ashran looks awesome. I leveled a rogue just in case its as fun as I want it to be. The changes they made, such as the scaling back of CC, will be a motivator for more folks to try PvP, always a good thing. I also fully expect some great lore and surprises. I do remember Outland well, so the contrast with that as well will be exciting. I loved the Warlords videos and I studiously avoided lore spoilers, so here we go! What did you think of MoP? What are you looking forwards in WoD? What are your last minute preparations? As of today, Growing up in Azeroth is officially one year old! Both Yotaan and Fussypants would like to thank you from the bottom of our hearts for your continued readership. Without you guys, we would probably not be writing still. A lot has happened in this year. As Fussypants loves to do, lets spew some stats for you all to see. Fussypants: This blog has had such a massive impact on my life; I don’t think I’d be able to put it all in words. First, and most obviously, my writing skills have vastly improved. I went from liking writing, and being moderately good at it, to loving writing and being able to write an article in about 15 minutes. wowstorylines- You comment on almost every single blog post that I put out! Dude, that is pretty amazing! Khizzara- You helped me to get my Normal Garrosh kill, a few days before the patch dropped. I don’t think I could have done it without you! Yotaan: I am consistently impressed by the passion, interest, and excitement I see in Fussypants in writing this blog and am so proud of this one year anniversary. The community has been fantastic and I am so glad we have your support in our (mostly her) writing. Thank you all so much and I look forward to another year! Back before Fussypants was a “serious raider”, before this blog was even an idea, Yotaan was Yotin, a troll shaman on a pvp server. I had always played Horde and had no interest in the Alliance. However, Fussypants convinced me to change factions, so I left the Horde behind. Then, Fussypant’s leveled a Horde priest and raided on her. That when she got “Ahead of the Curve.” Wait, what happened to this Alliance thing? So, back to the Horde! I rolled a Forsaken Rogue, loaded him up with heirlooms, and unleashed him on Azeroth. Did a little BG’s, some questing (got Rhea’s last egg – everyone ought to try that quest line a least once), and a bunch of instances. After a few weeks, he was up to level 60. Along the way he dabbled in mining and engineering. Since Fussypants and Yotaan play together, we have 2 accounts. Time for the digital upgrade for Warlords and the boost to 90 for the rogue on one of the accounts. The process was pretty simple to do on the character screen and, then, lo and behold, the rogue dinged 90. While I knew the profs were being boosted to max level as well, I didn’t know about the gear and the embersilk bags! The gear looked nice, a possible transmog option actually. However, it was immediately replaced (except for trinkets and daggers) with timeless pieces as Fussypants had a massive stockpile of them. All the old gear and ‘looms were in the mailbox, and most went into the bank. Next up were the Warlords introductory quests – I started the sequence, then realized that I was going to wait for Fussypant’s belf to help. She had found out that the boosted characters were having a tough time with the introductory quests and she wanted to help me. Nuts, now I had unanticipated free time. Now, with the boost, a majority of the abilities were gone. Just a few basic ones were there. The notion, I suppose, was to learn the abilities as you move along the quests, learning as you go. The quest I had, when completed, was going to provide more abilities. Back to the free time – the rogue checked out the Darkmoon Faire. There are some updates and changes to the Faire that I wanted to see. During that time I did one of the engineering quests to get tickets and Bam, new abilities were learned too! Not exactly anticipated but fun nevertheless. Finally, Fussypants was available and helped the rogue through the quests, which was great because it was actually a bit difficult to complete the quests without all the abilities available. I am not sure if I could have completed some of them. Honestly, that is good, because a challenge is always more fun. Foreshadowing of Draenor perhaps? At end, all the abilities were dumped in my bars, now they are a complete mess that needs straightening out. The only thing left to do (I think) is to practice pickpocketing the named mobs. There is a flavor thing for rogues that you can summon Griftah to fence your stolen goods. I have to do that!